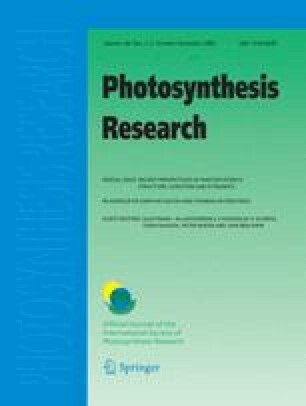 High-light illumination of photosynthetic organisms stimulates the production of singlet oxygen by photosystem II (PSII) and causes photo-oxidative stress. In the PSII reaction centre, singlet oxygen is generated by the interaction of molecular oxygen with the excited triplet state of chlorophyll (Chl). The triplet Chl is formed via charge recombination of the light-induced charge pair. Changes in the midpoint potential of the primary electron donor P680 of the primary acceptor pheophytin or of the quinone acceptor QA, modulate the pathway of charge recombination in PSII and influence the yield of singlet oxygen formation. The involvement of singlet oxygen in the process of photoinhibition is discussed. Singlet oxygen is efficiently quenched by β-carotene, tocopherol or plastoquinone. If not quenched, it can trigger the up-regulation of genes, which are involved in the molecular defence response of photosynthetic organisms against photo-oxidative stress. We would like to thank Diana Kirilovsky (CEA Saclay) for providing the data for Fig. 4 and Bill Rutherford, Arezki Sedoud (both CEA Saclay) and Giles Johnson (University of Manchester) for scientific discussions and critical reading of the manuscript. Financial support by the Alexander von Humboldt foundation to C.F. and by the Deutsche Forschungsgemeinschaft via SFB 480 to AT is gratefully acknowledged.